Book 1 of "The Drenai Saga"
SYNOPSIS - Druss, Captain of the Axe, whose fame was legendary, had chosen to wait for death in a mountain hideaway. But mighty Dros Delnoch, the last stronghold of the Drenai Empire, was under threat from Nadir hordes who had destroyed everything else in their path. All hope rests on the skills of one man. FL Speak - Mixed feelings. This book is hailed as a classic when it comes to Fantasy. 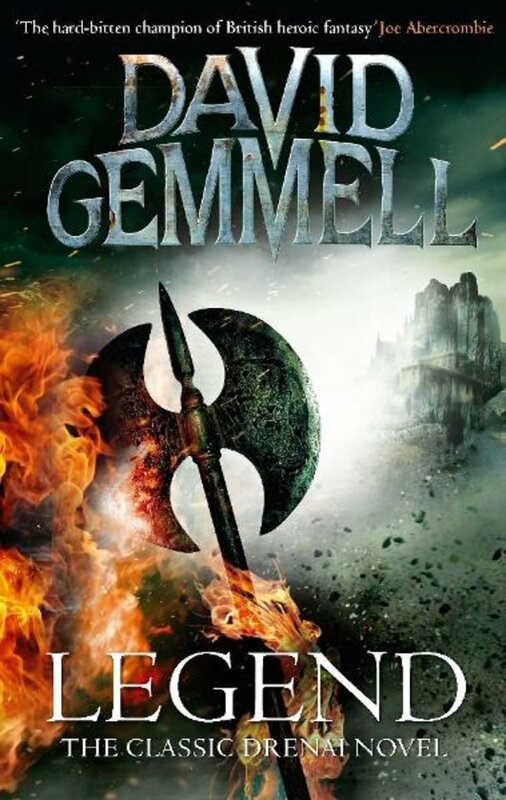 More so because it is written by Gemmel and the winner of the David Gemmel award every year gets the replica of the axe Druss uses in this. Yes, an actual replica. No medals or trophies, the axe is the ultimate symbol of being a master in fantasy. Sanderson won it, Rothfuss won it so you can imagine how famous the history is. Let's get back to the story. Legend is what you get when you take away the fries, the coke, the stupid lettuce from the hamburger. You're left with the ham. A pretty great ham. Legend is supposed to be about one man, Druss. But once you get into it, you realise the sum of the parts is always greater than the whole. Legend is the story of Druss and death. It is the story of the fort of Dros Delnoch who stands alone against a mighty force. It is the story of plain stupidity, glimmers of hopes and tall tales of the past. There is no fluff, no detailed magical systems. The writing is flawed, conversations that don't make sense. This is the simple tale of a man who refuses to die. When Gemmel wrote this, as you all know by now, he was diagnosed with cancer. This is his brave tale of refusing to give up against an enemy that can't be defeated. Gemmel had a story to tell and he did. The book sorely lacks worldbuilding and makes up for it by the sheer strength of the direction to the plot.